Owing to the permanently growing computational resources and the known predictive deficiencies of unsteady Reynolds averaged Navier-Stokes simulations, scale-resolving simulations become affordable methods to further study the unsteady phenomena of complex flows. 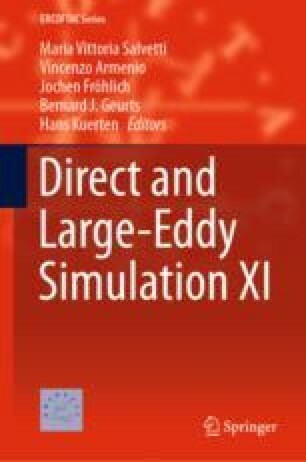 Especially high-order spatial discretizations, such as the discontinuous Galerkin method, seem to be well suited for these simulations due to their superior dispersion and dissipation properties in comparison to their low-order counterparts. In this paper, we investigate the implicit large eddy simulations of a fully developed turbulent channel flow with an high-order discontinuous Galerkin method and a second-order accurate finite volume method. Statistical quantities, obtained with varying approximation orders but by using the same number of degrees of freedom, are compared to reference DNS data.